Enables most wired stereo gaming headsets to work for Xbox One / Xbox One S & Xbox One X. Mic Mute: Press to turn off the microphone, press again to turn it back on(LED will glow when muted). 1 x Stereo Headset Adapter. Xbox One Stereo Headset Adapter Brand New. Came with headset, but i already have another one that i use. Dispatched with Royal Mail 1st Class. 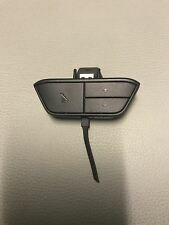 Xbox One Stereo Headset Adapter. Adapter only, no box. Good condition. Sent with Royal Mail First Class postage. 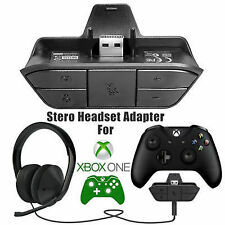 Official Xbox One Stereo Headset Adapter Game Audio Chat Mic Mute No Packaging. Never got used, the packaging got thrown out but other than that it works perfectly and has only been used twice. Feel free to ask me any questions. All our product's have a 30 day return's policy and 3 -12 months warranty so you can buy with 100% confidence @ playbox gaming Description / feature's This adapter cable will allow you to use/connect your existing 2.5mm talkback cable with your Xbox One Chat Adapter / Controller (Chat Adapter NOT included) WITHOUT the need to buy a new cable This cable converts 3.5mm earphone jack to 2.5mm jack Fit's and can be used on XBOX ONE / XBOX ONE S / XBOX ONE X Stainless steel connections for better sound quality and a better connections 3 Month's warranty cable length = 22cm Handy to have around the house or office allows you to convert lot's of item's there fore saving you money Compatibility Will work with ALL Turtle Beach headsets that are compatible with the Xbox One including XO7, XO4, Stealth 500x, Stealth 800x, XO ONE and X42's. 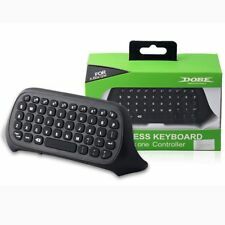 Features:No need to connect anything to the console or TV/ receiver. A microphone is required for chat.Enables most wired stereo gaming headsets to work for Xbox One.Easily adjust chat audio without taking your hands off the controller.Controls include volume up/down, microphone mute, and game/chat balance.Just plug the headset adapter that came with your headset into your controller and then connect the headset.Most stereo gaming headsets with a 3.5mm audio jack (that use the CTIA plug standard) can get chat and stereo game audio directly.Description:Elegant appearance, fine workmanship, precise dimension.To make synchronous game control and stereo sound become possible.Easy to install and use, dirtproof and wear resistant.Specifications:Materi. Enables most wired stereo gaming headsets to work for Xbox One / Xbox One S & Xbox One X. Mic Mute: Press to turn off the microphone, press again to turn it back on(LED will glow when muted). 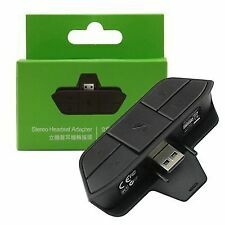 No need to connect anything to the console or TV/ receiver. 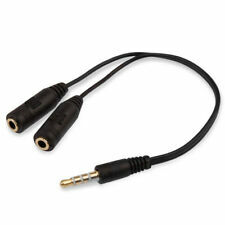 Headset Adapter 3.5mm Splitter for Audio Headphone and mic. 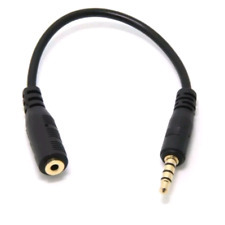 AUDIO / MICROPHONE headphone SPLITTER for 3.5mm Audio Jack. Useful for handheld microphone with separate speakers or Headset. 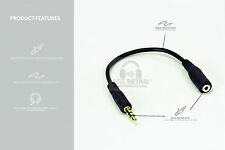 All our Product's have a 30Day Return's Policy and also 3 months warranty Description/Feature's GRADE A HIGH QUALITY GOLD PLATED PRODUCT talkback adapter cable will allow you to use your PC gaming headset with mic on either laptops and pc's and allows you use for live chat & phone calls 2 x 3.5mm female jack, 3.5 mm Jack Model also compatible with XBOX ONE, XBOX ONE S ,XBOX ONE X ,PLAYSTATION 4 Dispatch Times & Postage all sales before 1pm will be dispatch the Same day any sales after 1pm will be dispatched the next working day return's policy & payment details below thank you for looking & please take a look at my ebay shop. 2 Sets Mouse Feet Skates for Logitech G403 Gaming Mouse Teflon 0.65mm. An Xbox One Stereo Headset Adapter is already included with new stereo headsets designed for Xbox One. Includes 2.5mm to 3.5mm adapter to enable a stereo Xbox 360 wired headset to work with Xbox One. Flight Sound X FSX 3.0 Aviation Headset USB Adapter. This is to attach a real aviation headset to a flight simulator system to be used with ATC software and alike This was part of a full system of my dad’s. All other Pro Flight items plus PC, monitors, software and custom centre console are available on my other listings. All items are in good condition. Collection welcome, or delivery with Royal Mail or DPD. Possible combined postage cost for multiple items depending on total size of package etc. 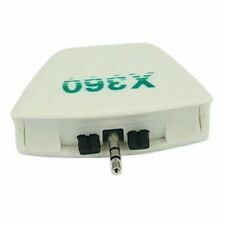 It can totally separate the microphone and earphone signal. 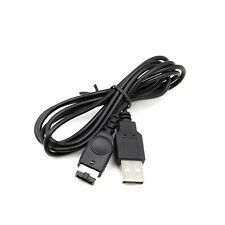 So this converter is compatible with all kinds of headset for live chat. Color: Black. Quantity: 1 PC (other accessories demo in the picture is not included). Suitable for Xbox One compatible headsets from Turtle Beach. 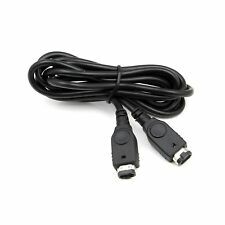 Xbox One Headset Adapter Cable. Add to Favourites. We will always go out of our way to source the product you are looking for.